Dutch veteran Lisanne de Jong made a triumphant return to the runway at the Spring/Summer 2014 collections following a year long hiatus from modelling. The twenty-three year old green-eyed blonde imbued the runways of Hervé Leger, Rodarte, Christopher Kane, Peter Pilotto, Bottega Veneta, Chloé, and Hermés with a commanding presence and self-assuredness that come with a certain level of industry and more importantly life experience. Scouted at age fourteen, the academically-minded de Jong placed modelling on the back burner until graduating from high school before launching herself into modelling full-time in 2008. Following careful development and guidance by her mother agency Ulla Models in Amsterdam, de Jong debuted at the Spring/Summer 2010 New York collections walking for BCBG Max Azria, Hervé Leger, and Ports 1961 before scoring a Prada exclusive in Milan which propelled her into modelling's limelight. At the Paris Spring/Summer 2010 collections in Paris, there was no doubt as to de Jong's blue chip exclusivity with spectacular bookings at Balenciaga and Miu Miu the latter for which she opened. 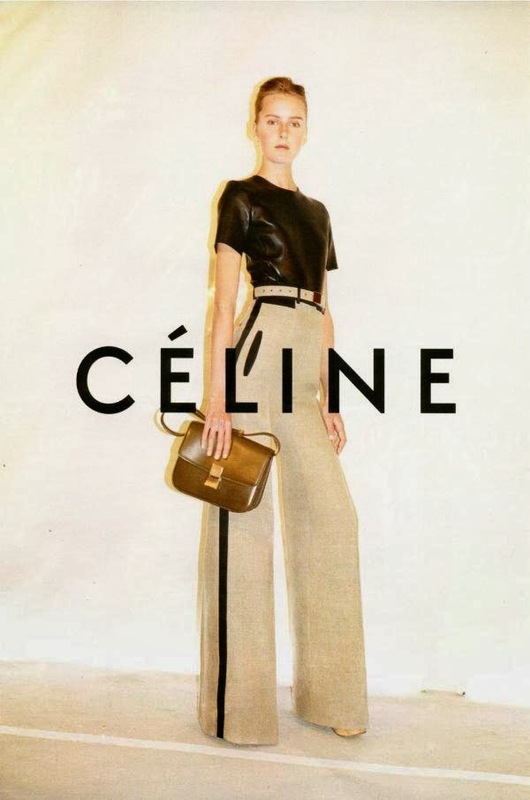 Fast-forward five years and de Jong has run modelling's full gamut appearing in campaigns for Balenciaga, Missoni, Céline, and Burberry Black Label. Editorial appearances for a diverse array of publications including W Magazine, Dazed & Confused, Interview, French Revue de Modes, British Harper's Bazaar, Wonderland, 10 Magazine, Russh, and the Chinese and Russian editions of Vogue attest to de Jong's stunning versatility on film. 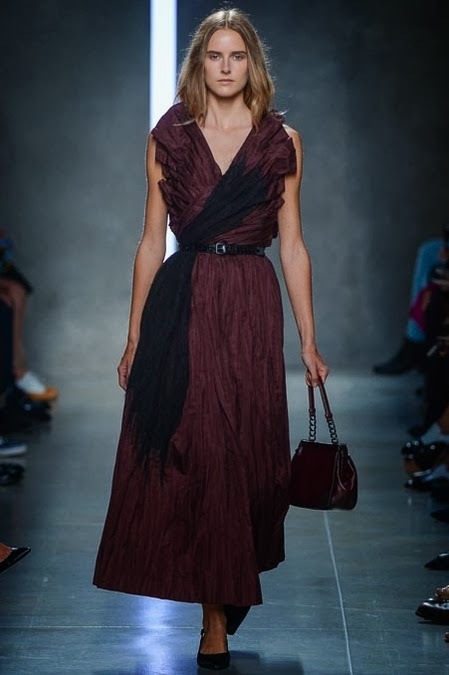 Equally impressive is de Jong's sleek 178 cm runway perfect proportions and the womanly aura she emits both on and off the catwalk. Currently a first year university graduate of studies in Psychology, de Jong's comprehension of the inner machinations of the fashion industry and her place in it lend her an added dimension of interest. Smart, conscientious, and grateful for the opportunities that have presented thus far in her modelling career, de Jong is clearly a long distance player. IMA caught up with de Jong in the lead up to the Fall/Winter 2014 season to chat about the impetus for her return to the runway, modelling's complex mind games, and shooting the breeze backstage at Hermés in between massages and guitar renditions. Inoubliable Model Army (IMA): Hi Lisanne, thank you for chatting with IMA! The Spring/Summer 2014 season signalled your return to fashion's runways following a brief hiatus in 2012. How did you feel getting back on the show circuit and were you pleased with how the season developed? Lisanne de Jong (LDJ): I was very happy to be back on the runways! I was in the school banks for a year and I missed the adrenaline and excitement that you get from doing the shows. I felt very lucky to be able to walk some nice shows during Fashion Week again. And now that I am a bit older I can appreciate and enjoy it even more than before! 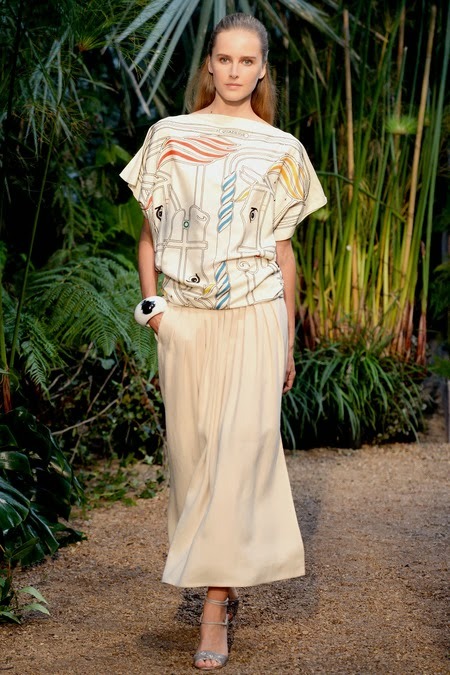 IMA: Your Spring/Summer 2014 show list included appearances at Hervé Léger, Rodarte, Reed Krakoff, Julien David, Christopher Kane, Just Cavalli, Bottega Veneta, Missoni, Guy Laroche, Chloé, and Hermés. What were your personal Spring/Summer 2014 highlights? LDJ: That is a very tough call! I was a semi-exclusive for Chloé, I worked with them all week doing looks, and the hair and makeup test. I got to know the team and saw how the collection came together. That was a special experience. Also doing Hermés for the first time was great! I loved the whole atmosphere backstage. It was possible to get a Thai massage, there was good food, and it was the final show of the season! It was a very nice weather-wise that day too. Julia Nobis had her guitar with her and was playing songs in the grass in the sun while all the girls sat around listening and relaxing. That was a very special moment. The show was beautiful and I loved the catwalk surrounded by palm trees and other exotic plants. It fitted very well with the collection. IMA: You burst onto the international modelling scene during the Spring/Summer 2010 season as a Prada exclusive followed by opening slots at Miu Miu, Max Azria, and Philosphy di Alberta Ferretti. Do you feel in a way that you have come full circle, and what changes have you noticed in the industry? LDJ: It feels like another accomplishment for me and some kind of full circle I think. But this is not the end, I hope I can continue to keep working on exciting projects and shows. I expected it to be harder returning to modelling and the runways. So I was just very happy that people were still enthusiastic to see me. There have been some changes. For example casting directors that cast different shows now. Designers that switched. I also feel like it's not the end of the world if you are a bit older as a model now. There are not as many 14 year old girls around anymore. I noticed more girls achieving momentum on the runway who have already been modelling for a long time like Ieva Laguna and Anouk Hagemeijer. As for trends I think we are living in a fast world these days and the fashion industry changes constantly! IMA: One aspect that hasn't changed is the fashion industry's obsession with Dutch models. Why do you feel Dutch girls continue to be such a driving force on modelling? LDJ: I think it is because Dutch girls are very down-to-earth and easy to work with. If I look at myself and my Dutch model friends, we just like to have a good time but also work hard. IMA: There appears to be no set formula nowadays for a model's path to success. Some girls experience instant success due to the power of exclusives, while others make the cross-over from commercial modelling to the high fashion realm, and many models also hit their stride professionally in their mid to late 20s bringing a maturity and breadth of life experience to the fore. Is success all the more sweeter for you the second time around and what do you feel are the keys to longevity in the fickle world of modelling? LDJ: It is a different kind of success the second time, I feel like I have to prove myself even more - that I am here again and I am good in what I do. So I feel happy to still be recognised as a model. I think the key to longevity is to believe in yourself, to be nice to people, and work hard! I think you really have to want it in order to continue to work because there are so many girls nowadays that you can be replaced quickly. That means travelling a lot, keeping in shape, and if you have a little dip don't give up. IMA: Your resumé includes editorial appearances for British Harper's Bazaar, V, Dazed & Confused, Russh, W, and Interview. Has there been a favourite editorial shoot to date, and how has your posing and relationship with the camera evolved since you started in the industry? LDJ: I loved doing the "In Bloom" Story for Dazed & Confused with Viviane Sassen and Katie Schillingford. I was jumping around in the tulip fields in Holland and I think the pictures turned out amazing! 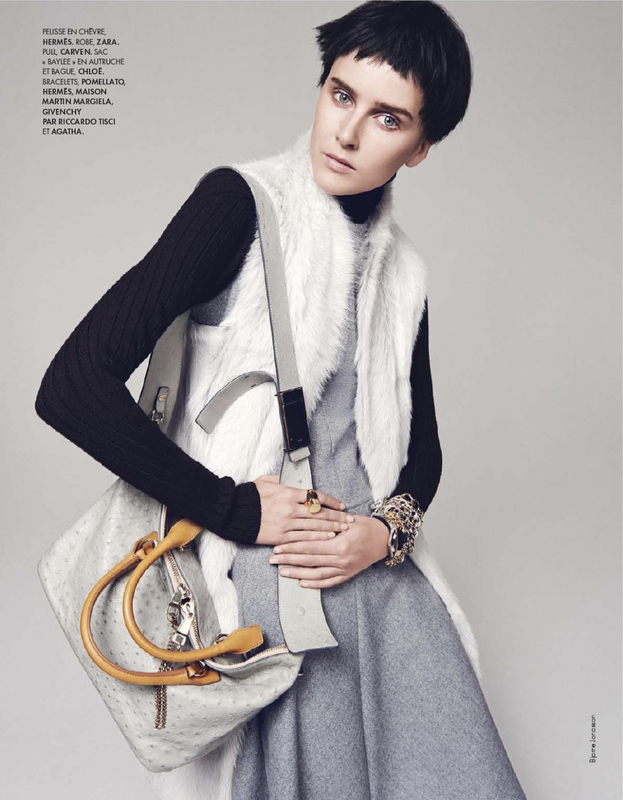 Another one I really like I did recently for French Elle with Bjarne Jonasson and Tamara Taichman. Everything fitted together with the styling and photography. I am very happy with how the pictures turned out. I definitely have much more confidence standing in front of a camera now then when I was 18. Now I know what is expected and how to move well. IMA: Having already shot campaigns for Balenciaga, Céline, Burberry Black Label, Missoni, and Hermés with industry heavyweights Steven Meisel, Juergen Teller, and Alasdair McLellan, what other career milestones do you hope to achieve in the future? LDJ: Oh there are so many! I would love to be on a cover of Vogue. I really like French Vogue. Doing an editorial for them is something I hope to achieve one day. And of course, every model's big dream is to score a beauty contract ;-). IMA: Your mother agency Ulla Models has chartered your modelling course to its current comeback success. What do you appreciate most about Ulla Models' management philosophy and approach? LJD: I love that they are very supportive. Whenever I am upset about something or need a pep talk I can call my booker Michael and I know he will make me feel better. It's also nice that during Fashion Week there is always someone from Ulla Models in town so we have a nice dinner and especially during Fashion Week you need those moments of support. IMA: The modelling industry offers few long-term possibilities for the hundreds of newcomers flooding the market each season. What advice would you offer to new model hopefuls? LDJ: I would advise them that if this is really what they want, that they can get there but you need to believe in yourself and be motivated and determined because there are times when you work less and things don't go as you want but at that moment you shouldn't give up and instead think of ways to get even better in what you do. IMA: Fashion is a big part of a model's appeal. How would you describe your fashion sensibility and which key designers are currently on high rotation in your wardrobe? LDJ: It's hard to describe my style. For example, one day I can wear black leather pants and motor boots and look like a tomboy while another day I can wear something very classic and chic. I guess it really depends on my mood on the day and also the clients that I have to go and see. The designers that are on high oration on my closet are Acne, Helmut Lang, and Balenciaga (from when Nicolas was still there). I have quite a bag collection from doing the show in the past! IMA: Physical scrutiny and assessment are part and parcel of a model's daily life. How do you handle being judged on face value and is it difficult to maintain a clear sense of self through it all? LDJ: Maybe that's what made me so interested in psychology ;-). I know a lot of models that actually told me that if they would study they would consider psychology. I thought that was quite funny but it makes sense. You get judged constantly and at some point you learn how not to take it personal. In the beginning it was very hard for me but now I guess I am used to it. It's part of the job! We basically go for job interviews a couple of times a week! I think one important thing to stay grounded in this is to have a life next to it. For example I have my friends, family and boyfriend back in Holland. I have different hobbies like horse-riding and pilates. This helps me to keep a normal sense of self. IMA: What are the most valuable life lessons that modelling has taught you? LDJ: Live in the moment and enjoy every moment! Life goes fast and it's a shame to constantly work about the future. Also don't forget where you came from and cherish the special bonds with your loved ones, family, and friends. In the end you will only find happiness when you are happy with yourself. IMA: I think I am calm, loyal, and down-to-earth. I guess some people like that ;-).